A lot of people have commented on the passport idea. I wish I could take credit for it, but I cannot. It actually is a part of the My Father's World Exploring Countries and Cultures curriculum. The passport books, though, can be bought - I saw them at Walgreen's last week. To stamp (sticker) as we enter each country, we are using flag stickers from DK's Flags of the World sticker book. There are 2 flags for each country in the book - one small and one large. We use the large ones in the passport and the small ones in the book, placing them on the correct country. This week in Geography, we finished up our study of India. 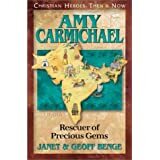 Our read-aloud for the past couple of weeks has been Amy Carmichael from the Christian Heros: Then and Now series. I love reading these books with my small people. While they may never decide to be missionaries to a foreign country, I pray that they will take something from these books and try to live lives that matter for the Lord. We colored the flag of India and learned about the significance of each color chosen for it. I finally came in 1st in a game of our Geography Game. Ballerina and I tied yesterday, only one country ahead of The Boy and Soccer Girl. They constantly amaze me with how well they are learning geography. I actually think I just got lucky yesterday; I got countries like India and China to find on my map and not Turkmenistan and Kazakhstan. In kindergarten here, this week we studied Ff - Frogs. We read lots of books about frogs and finished out the week reading from Frog and Toad Together. Little Red wrote and illustrated a book about frogs. She also drew the life cycle of a frog. In non-school-related stuff, we have been soccer crazy here. Last weekend, we had a full weekend of soccer. Robb is helping coach a U-12 team, and they had an 8:30am game on Saturday. Little Red and Balleina are both playing in the recreational league, and they both had 11am games. Soccer Girl is playing her first season of Select (or classic level) soccer, and she had a double header last Saturday - 12:30 and 2:50. The Boy is also playing Select (this is his 2nd season), and they had a 1:00 game. Thankfully all of our games were home, so they were all at the same set of fields. I did get a lot of exercise walking from game to game, though. Sunday afternoon, Soccer Girl had another game at 2:50, also at home. The Boy had ODP (Olympic Development Program) training in Columbia from 4-6 Sunday afternoon, so Robb and I had to divide and conquer; he stayed here with all the girls to go to Soccer Girl's game and I went with The Boy. I took a ton of pictures and have spent the week editing them. At some point, I'll have them ready to share. This weekend we have another full soccer weekend. Both of the Select teams are playing in a tournament in Sumter. The Boy's team starts us off at 8:30 and has to be on the field at 7:45 this morning, which is why I'm up at 5am on a Saturday. I'm sure I'll take another large batch of pictures this weekend also. While we're still in Asia in our geography study, we've moved over to India. Of course, we needed have our passports stamped stickered as we entered the country. We also colored in India on our world travels map. Next up, we labeled our maps of Asia and added flags to the Asia pages in our world map book. To end the week, we made stone inlay creations. After making their creations out of clay, they inlaid the jewels while the clay was still wet. The Boy made a snake. Soccer Girl's started out as a bowl, but after a while she decided to flatten it and make a plate. Ballerina was very meticulous about her bowl. She asked for a cup of water so she could use it to smooth out any cracks and creases in the clay. This week for Little Red, the topic was Bb - Butterflies. We had a great time reading about butterflies and learning the life cycle of a butterfly. To finish off her week, she made a butterfly. First, she scraped shavings off of crayons onto wax paper. After that, I ironed the wax paper to melt the shavings. Then, she cut the wax paper into a heart shape and added a pipe cleaner for a set of antennae. Today, I should have been calling my mom to wish her Happy Birthday. But I wasn't. Today, my children should have been giving their grandma the gifts they picked out for her. But they weren't. Today, my mom should have celebrated her 64th birthday. But she didn't. You see, 6 years ago, just before her 58th birthday, breast cancer took my mom away from me. The Boy just barely remembers his "Big Grandma", as he called her. The twins have no memories of her, except for pictures of her with them. Little Red knows that she was able to be with her grandma in her last few days, but she was only a newborn. Sassy will never know her grandma, this side of Heaven. I miss my mom, more than words can even express. There are still days - 6 years later - that I forget that she's gone, and I go to call her to tell her something about the kids or to ask her advice. Today has been a difficult day for me for a variety of reasons. But mostly, I just miss my mama. This week we finished up our study of Saudi Arabia. We spent time practicing how to write Arabic letters. We also learned about why a camel has large feet. We saw how easy it was to press a camel's leg (a pencil) into the sand if it has a small round hoof at the end. Then we saw how the camel's leg with a large round foot (a quarter taped on the end of the pencil) doesn't sink into the sand as easily. We colored the flag of Saudi Arabia. Did you know that it is green because green is a traditional Muslim color? I didn't until this week. The Boy usually spends his free time building things with Legos. This week he spent his Lego time designing a structure that looked like some of the mosques he saw in the books we had about Saudi Arabia. The twins learned about place value to the hundreds place. We sorted beans into groups of 100 to see how many there were; we ended up with 926! Little Red learned about Jj - Jewels. With her having the flu, we didn't do nearly as many activities as we would have if she had felt better. Little Red has the flu. Technically, she has a flu-like illness. The pediatrician's office was out of flu tests when I took her in yesterday, so they couldn't actually diagnose her with the flu. But for all intents and purposes, Little Red has the flu. For the past couple of days, her temperature has hung out between 102 and 104. At our house, all sick small people are quarantined to my bedroom to try to keep any germs from making their way through everyone. Thinking the poor baby must want to take advantage of the opportunity to hang out in my bed watching tv all day, I had planned to cancel school for her until she was feeling a little better. Nope, the silly girl begged me to have school yesterday after we got home from the doctor's office. So, I propped her up in my bed and got the little tray table and her pencil, crayons, and school books. So far, none of the other small people who live here (or big ones for that matter) have shown signs of getting sick. I pray that no one else will.